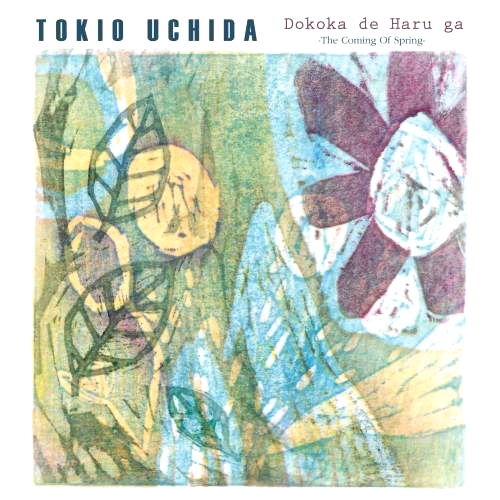 Tokio's new CD has just been released in May 2016!!! *The complete tab/music book (TABBK-2002) for this album is also available now. 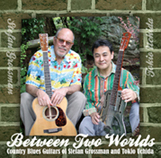 Stefan & Tokio's new duet CD released in Nov. 2013!!! "Woody Mann Japan Tour 2012" went successfully!!! 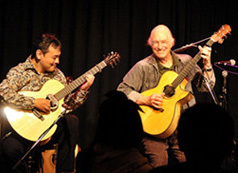 We had Woody Mann Japan Tour 2012 from April 7th to 15th. Woody learned a lot from legendary gospel blues guitarist Rev. Gary Davis in his young days. And afterwards he also absorbed the jazz essence from such a great jazz guitarist as Attila Zoller. Then he developed his musicianship and created his own unique guitar style and the one and only music. For this tour, he performed in Hiroshima, Osaka, Nagoya and Tokyo. He played a lot of wonderful music as solo and duet with Tokio Uchida.And he had two workshops in Osaka and Tokyo, too. We put the photo albums of this tour on facebook. Click here and you can go to them from that page. "Tony McManus Japan Tour 2011" went successfully!!! 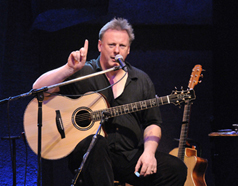 We organized the Japan tour of Tony McManus in April 2011. As John Renbourn described him as "the best Celtic guitarist in the world", Tony is recognized as one of the most high-level guitarists who have Celtic musicality as their musical roots. For this tour, he performed in Osaka, Nagoya and Tokyo. Although it was the difficult time for Japan after the disaster by the big earthquake, his music healed all the people in concerts. He also appeared as one of the guests for the annual big event "Fingerpicking Day" in Yokohama, which is held by Moridaira co. (other guests were Rynten Okazaki, Tokio Uchida and Daisuke Minamizawa). We put the photo pages of this tour on our web site. Click here (The photo pages are written in Japanese. But I think you will be able to watch the photos). "David Laibman Japan Tour 2011" went successfully!!! 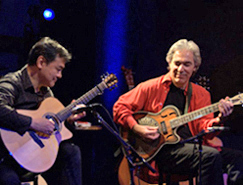 As Vol.2 of our 20th anniversary concerts, we had "David Laibman Live in Japan 2011" tour (Tokyo-Osaka-Nagoya-Tokyo). He is "the pioneer of ragtime guitar" who tried to arrange fabulous ragtime pieces of the typical great composers such as Scott Joplin, James Scott and Joseph Lamb for fingerstyle acoustic guitar seriously. His arrangements were the really acheived ones as he converted the possibility of the piano to the guitar and influenced many guitarists. Tokio Uchida joined the gigs and played his solos as well as the duos with David. We put the photo pages of this tour on our web site. Click here (The photo pages are written in Japanese. But I think you will be able to watch the photos). And Be Learning In Minutes!!! It's a new and exciting way to deliver our library of music instruction DVDs to you (including the accompanying music/TAB booklet) quickly, safely and inexpensively using an amazing new media system called the MOD Machine. TAB Guitar School allows you to get your lessons anytime you want them, 24/7, delivering high-quality video directly to your computer. All you need is a high-speed connection and you'll be on your way. "Back To Home" "How To Order" "Order Page"